Abandoned on an alien planet, a young woman gains remarkable powers from a mysterious artifact, in the first installment of a sprawling, unforgettable science fiction saga. 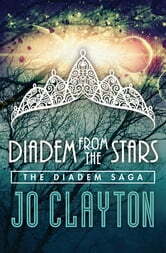 A magnificent combination of space opera and epic fantasy quest in the beloved science fantasy tradition of Andre Norton and C. J. Cherryh, author Jo Clayton’s masterful Diadem Saga begins with an unforgettable tale of destiny, self-discovery, survival, and an extraordinary young woman’s coming of age in a world that is not her own. Raised, but never loved, by the barbarian valley people of Jaydugar, a planet of two suns, young Aleytys has always known she did not belong. Abandoned by her space-traveling mother and barely tolerated by a superstitious primitive tribe fearful of divine reprisals, Aleytys is forced to flee for her life following the catastrophic appearance of a fireball in the sky. Guided by her absent mother’s journals, the young outcast must now journey alone across an unfamiliar world of perils in search of an escape from this planet that holds no hope for her future. But her pursuit of a spacecraft and the parent who inexplicably left her behind leads young Aleytys instead to the miraculous device that will determine her destiny. 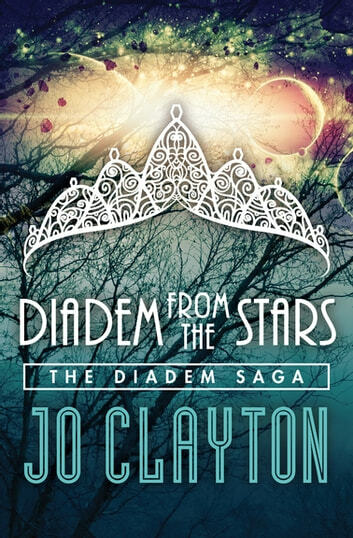 An object of unimaginable power—a magical technology stolen from a vengeful alien arachnid race determined to recover it at any cost—the Diadem instantly becomes an integral part of who and what Aleytys is and will be. Once its great energy is transferred to her she will never be free of it, and mastering the Diadem’s wonders is Aleytys’s only hope for survival now that she has become the most wanted woman in a dangerous universe. In an astonishing feat of science fiction world-building and quest fantasy storytelling that rivals the classic works of Mercedes Lackey, Anne McCaffrey, and Marion Zimmer Bradley, Clayton opens wide the portals into a magnificent galaxy of marvels and terrors with Diadem from the Stars, ushering speculative fiction fans into an unforgettable universe and series. The main character grows in confidence and power throughout the series. Too bad Rakuten Kobo only has the first 5 of the 9 books in this series. The characters come from adversity and fight to move out into the greater universe. Anything that Jo Clayton wrote was well worth reading.